Perfectly equipped with the HUP app! Die kostenlose The Hup App ist die perfekte Ergänzung zu Deinem Hair Tool. Alle Frisurentutorials in einer funktionellen und stilvollen App gesammelt. Egal ob zu Hause oder unterwegs, mit dem Hair Tool und der App, bist Du jederzeit bestens ausgerüstet! 16 Frisuren, Videotutorials mit Schritt für Schritt Anleitungen und viele inspirierende Bilder. Probiere die unterschiedlichen Frisuren and get your hair ready! 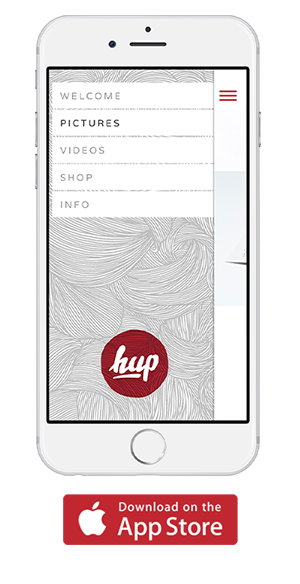 The free The Hup app is the perfect complement to your hair tool. 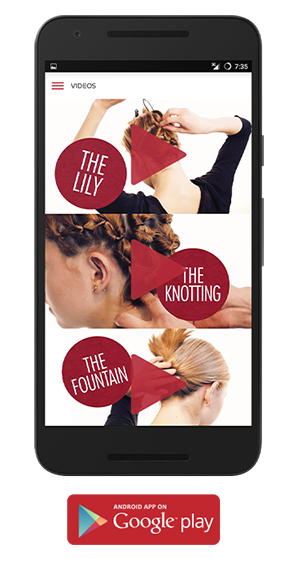 All hairstyle tutorials collected in a functional and stylish app. Whether at home or on the road, with the Hair Tool and the app, you are always well equipped! 16 hairstyles, video tutorials with step-by-step instructions and lots of inspiring pictures. Try the different hairstyles and get your hair ready!